It's safe to say that the Nissan Leaf would not be the reigning European Car of the Year had it not been for the persistence of Pierre Loing. Nissan Europe's head of product strategy and planning says that one of his proudest moments during the full-electric Leaf's evolution from promising project to award-winning vehicle was convincing his bosses at Nissan and its alliance partner, Renault, to enter the Leaf in the contest last year to pick Europe's top car. "There were some who thought entering the contest was too costly and too time consuming and that the car had no chance because the media judges were petrol heads who would be biased against an electric car," Loing told Automotive News Europe. The French executive eventually won over his bosses and after the Leaf was named a finalist, Colin Dodge, Nissan's top executive for Europe, asked Loing during a board meeting whether the car would win. Loing said he was hoping to be in the top three. Dodge was not satisfied with the answer and asked again: "Can we win?" "I believe we can," Loing remembers replying, even though at the time he says he was anything but sure. Then Dodge said: "If we win, I'll buy you dinner. If not, you buy me dinner." Loing took the bet. He said that in April Dodge treated him and the entire 15-person team that worked on the Leaf's launch to dinner at a French restaurant near Nissan's European headquarters in Rolle, Switzerland. Loing joined Nissan Europe in mid-2002 and started his current job in 2006. 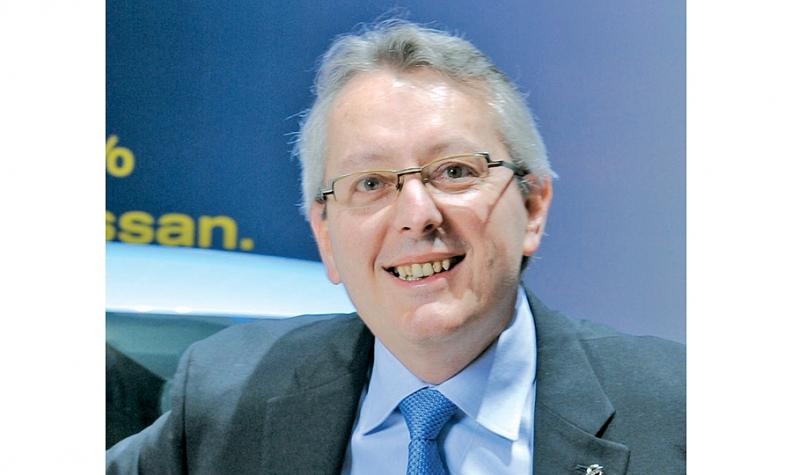 Since 1987, he has also worked for Volvo and Renault.